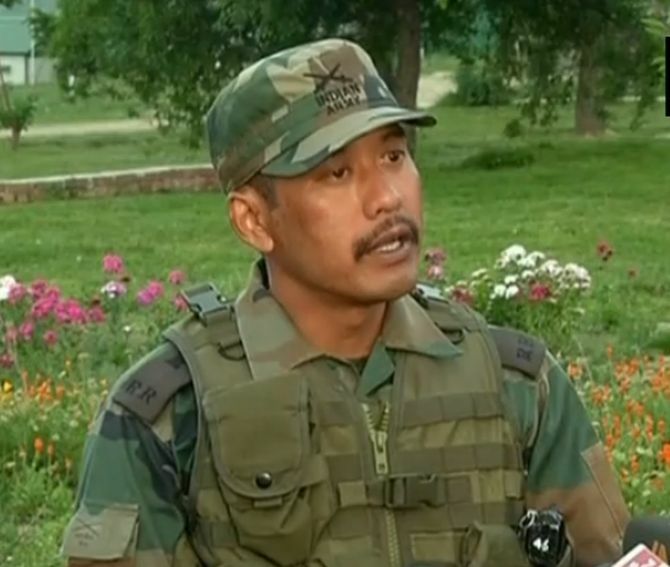 Maj Leetul Gogoi, who was at centre of the human shield controversy, has been indicted by an army court for “fraternising” with a woman, paving way for initiation of disciplinary action against him, army officials said on Monday. The report of the court of inquiry, headed by an officer of the rank of Brigadier, had been submitted earlier this month in which Major Gogoi has been charged with “fraternising” with a local in spite of instructions to the contrary and “being away from the place of duty while in operational area”, they said. Police had detained Gogoi on May 23 following an altercation when he was allegedly trying to enter a Srinagar hotel with an 18-year-old woman. He was briefly detained by the police and later handed over to Army authorities. Maj Gogoi, who had used Farooq Ahmed Dar, an artisan, as a human shield during Parliamentary by-elections in April 2017 by tying him to the bonnet of his vehicle, will now face summary of evidence before court martial proceedings are initiated against him, the officials said. The punishment, according to the officials, can range from a severe reprimand to dismissal from service after summary of evidence that would emerge during the proceedings. The army had ordered the CoI following the May 23 incident. Army chief Gen Bipin Rawat had said in Pahalgam that exemplary punishment would be given to Gogoi if he was found guilty of “any offence”. The army chief had said in May, barely two days after Maj Gogoi had been caught with the woman, that “if any officer of the Indian Army is found guilty of any offence, we will take strictest possible action”. Major Gogoi had hit the headlines last year after he tied a man to a jeep in Kashmir purportedly as a shield against stone pelters during polling in the Srinagar Lok Sabha by-election on April 9. He had been backed by the army. According to the army, he had tied Farooq Ahmed Dar to his jeep to ensure that crowds do not throw stones at polling staff he was escorting to safety. Rawat had then supported the young officer's action and honoured him with the army chief’s ‘Commendation Card’ for his ‘sustained efforts’ in counter-insurgency operations. However, the May 23 incident was reversal of his fortunes and he found himself in dock after he was detained by the police along with another Territorial Army personnel, who happens to be a local.